NEW CANAAN, CT – September 16, 2003 – After four years of financial distress, bankruptcies, multiple divestitures and general turmoil, the senior care investment market is finally ready for a long-awaited turnaround, concluded a panel of experts in an Audio Conference hosted by Irving Levin Associates, Inc. The conference, titled “Where Is The Senior Care Investment Market Headed,” was moderated by Stephen M. Monroe, the Editor of The SeniorCare Investor, and the panelists included Phillip Anderson, Executive Vice President and Chief Operating Officer of CNL Retirement Properties, Arnold Whitman, President of Formation Capital, Frank Morgan, Managing Director of Jefferies & Co., and Mike Pardoll, Senior Director of Marcus & Millichap. “The bottom line is that the senior care market has staggered through a very difficult four-year period, but there are multiple signs indicating that the long-awaited recovery is upon us,” commented Stephen Monroe. “Public equity prices in the sector have surged by more than 50% this year, the large chains are back on their feet, private equity is attracted by the potential returns and very few new assisted living or skilled nursing facilities have been developed recently, even though the population continues to age. When added together, these trends indicate that the industry has come full cycle from 10 years ago and is in the best position in five years for renewed financial strength and solid investment returns,” continued Mr. Monroe. It was revealed during the conference that, based on the results for the first half of 2003, the average price paid per unit for assisted living facilities increased to $80,000, or back up to the levels of the 2000 to 2001 period. For the first half of 2003, the average price paid for skilled nursing facilities dropped by more than 20% to $30,000 per bed as the market was dominated by chain divestitures and other financially troubled nursing facilities. While this may increase a little by year-end, it will still be one of the lowest levels in the past 10 years. “We definitely see this as the bottom, but not necessarily a statement of where values are. Profitable nursing facilities in states without horrendous liability problems have retained much of their value; the problem is that few of them have been on the market for sale,” stated Mr. Monroe. Full-year statistics will be available at the end of March 2004 in the Ninth Edition of The Senior Care Acquisition Report. 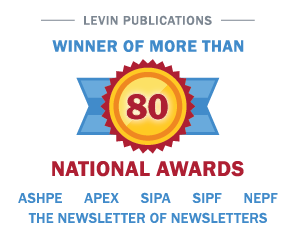 The 90-minute CD of the conference can be purchased from Irving Levin Associates, Inc. for $249 ($149 for subscribers), which will include the charts for some of the mid-year statistics. For more information, or to order the tape, call 800-248-1668. Irving Levin Associates, Inc. was established in 1948 and has headquarters in New Canaan, Connecticut. This privately held corporation publishes research reports and newsletters, and maintains databases on the health care and senior housing markets.